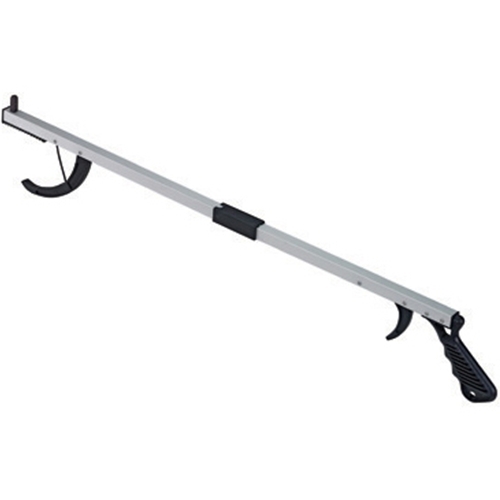 McKesson Aluminum Folding Reacher with Magnetic Tip from HealthyKin.com is ideal for people with limited range of motion or difficulty bending. Not as good as the one I have without the serrated edge. It won't pick up skinny things, like a single sheet of paper, or mail from my entry-way. I do find it hand in the laundry room to get clothes out of the washer and dryer. Definitely not as good the ones that I already have. Very disappointed!